PLEASE NOTE: The venue is now being held at 345 Campbell Street in Newcastle, just up the street from our store! 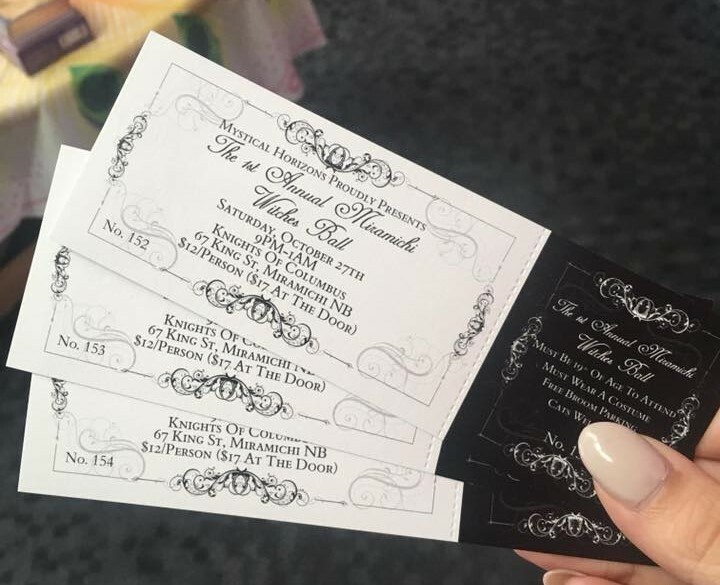 Tickets are available for the Witches Ball! Buy your tickets at our store located at 138 Newcastle Boulevard in Miramichi, New Brunswick. $12 in advance and $17 at the door (if not sold out). Payment is Cash at the store or e-transfer to moultonsasha@hotmail.com password with the password ball. Must be 19+ of age to attend! Check out the event on our Facebook page for more information!